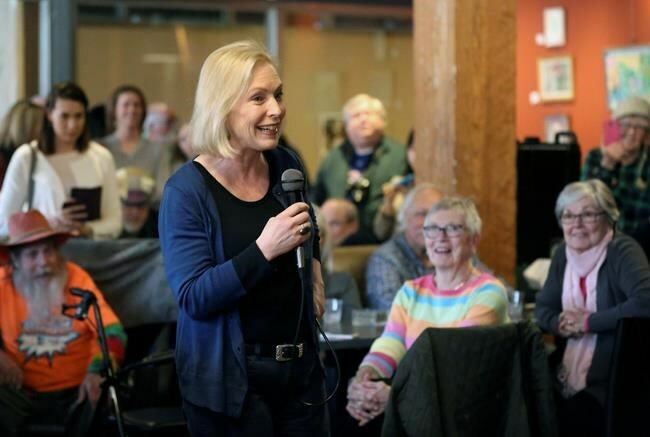 WASHINGTON — Democratic presidential candidate Kirsten Gillibrand says she's "open to improving" a Senate bill that would limit opioid prescriptions for acute pain. The senator from New York was addressing criticism she received last week when she tweeted that she and Republican Sen. Cory Gardner of Colorado had introduced the bill "because no one needs a month's supply for a wisdom tooth extraction." In a Medium post Wednesday, Gillibrand says she has heard concerns that the bill could "exacerbate disparities and biases in our health care system." She says her goal is to tackle the "over-prescription of these highly addictive drugs" and she is willing to listen to ideas on how to make the legislation better.